With its growing importance in global industry and huge gaming industry, China is an obvious area for international investment. 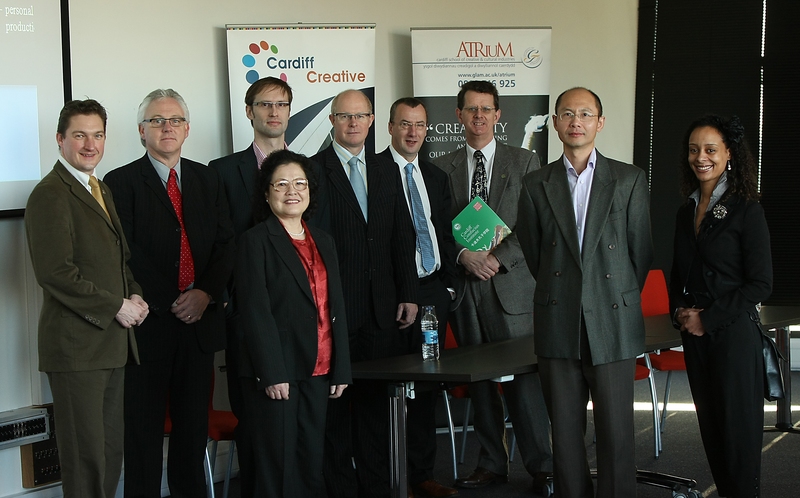 On Thursday 20th of January the University of Glamorgan hosted the second Wales China Cultural Industries Forum, bringing together digital games experts from across business and academia. Michael Rawlinson is the Director General of UKIE, the videogames industry’s representative for the UK Council for Child Internet Safety. He spoke on the blurring of business models in the videogame industry. Still a very young area videogaming is constantly changing as it responds to new users and platforms, smartphones and interactive gaming such as the Nintendo Wii have opened up entirely new markets in this massive growth sector. Rawlinson sees the industry’s ‘youth’ and the speed at which it can change as mutually beneficial assets in attracting investment, meaning that the industry can respond to frequent developments in technology better than more established disciplines such as journalism and publishing. ‘Industry Ambassador’ Tony Hughes is the Digital Content Specialist for UK Trade and Investment; he explained the changing demographics of gamers in the UK and China and the causes of those changes. Cloud gaming and social gaming via Facebook and other social networking sites have had a massive market influence and have heralded some overnight success stories for developers. Games consoles are relatively unpopular in China and most gaming is done online, meaning that there is huge scope for Welsh companies who do social game design in China. Hughes also stressed the importance of forming the right business partnerships when seeking to do business in China. At the opposite end of the game design spectrum from some of the DIY apps described by Hughes was Jian J Zhang, professor of Computer Graphics at Bournemouth University’s Media School, who spoke about the need for investment in order to achieve realism and quality real time action in gameplay. Professor Zhang explained that at present when designing games the decision has to be made between believability and cost. The research and development that endeavours to give us photo realistic facial animation, skin sliding, and realistic explosions is expensive and is at risk of becoming solely conducted by the companies who release triple A games. At present the UK does very well in the games market, but there needs to be greater investment in order to keep up; in other countries such as Canada there are tax breaks available for developers which make the markets in those countries very attractive to investors. Professor Zhang also emphasised the internationally recognised skill of UK animation graduates, as well as the need for physics and maths skills in game development, an industry which sees some of the most profitable returns possible from the marriage of Art and Science. Mike Thomas, China Business Advisor and Manager for Wales at the China Britain Business Council, was promoting his organisation as an invaluable resource when thinking about doing business in China, whatever your industry. You can view the slides from the speakers at the Confucius Institute webpages soon, and see tweets from the day by searching the hashtag #wccif on twitter.